Lamb Lover's Month 2019 - California Lamb Recipes and more! February is Lamb Lover’s Month! It’s a perfect time to savor dishes such as lamb shanks, stew, chili and other comfort foods prepared with locally produced lamb. Lamb is a nutrient-rich food packed with Vitamin B12, niacin, zinc and selenium. All natural and raised without hormones, California lamb is a great choice to push away the wintertime blues. Take shanks for example – equally as delicious cooked low and slow in a slow cooker or roasted in a moderate oven until the meat falls off the bone. 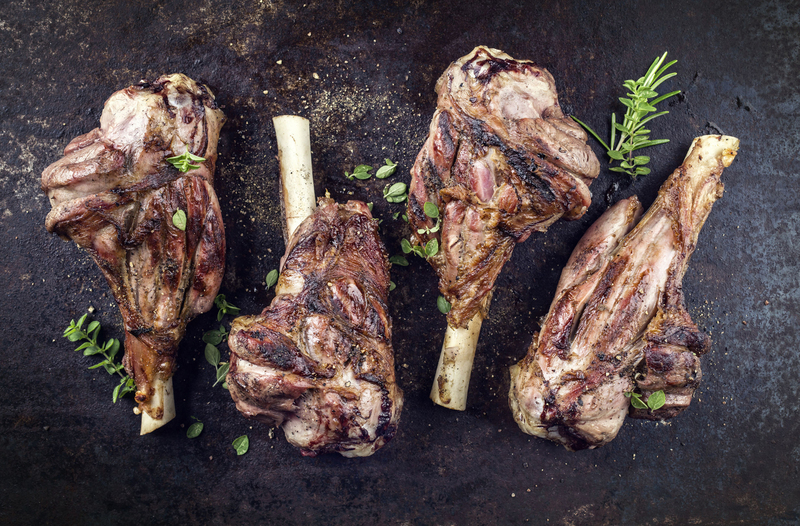 There are a plethora of lamb shank recipes to choose from, including the California Sheep Commission’s favorite, Zinfandel Braised Lamb Shanks, created by Healdsburg Chef, Jeff Mall. For this and other fan-favorite recipes, visit our recipe page.